Shonda Rhimes-produced shows Scandal and How To Get Away With Murder are set to crossover. The news was announced last night by Rhimes on Twitter, in a tweet that teased a snippet of what is to come. She tweeted: “People. It’s happening. @petenowalk, you ready for this? #TGITCrossover #HowtoGetAwaywithScandal”. Both tweets teased a picture of a script which shows the first meeting of Scandal lead Olivia Pope (Kerry Washington) and HTGAWM‘s Annalise Keating (Viola Davis). Meanwhile, Washington and Davis shared some pretty revealing snapshots on Instagram of themselves on each other’s sets. 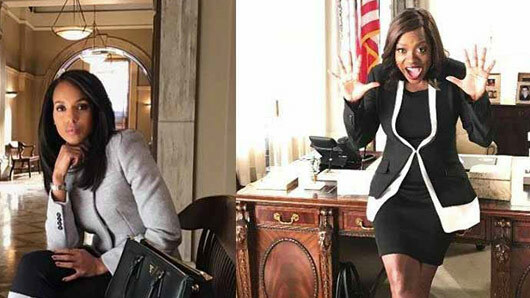 While there’s no word as of yet on what the plot for the crossover will be, Annalise Keating is a top-notch lawyer and Olivia Pope is a former lawyer who specialises in political crisis management – so they’re hardly worlds apart. We can definitely imagine a scenario where Pope might be requiring the talents of a certain Miss Keating! Scandal is currently filming its seventh and final season while HTGAWM is in its fourth season. The crossover will air later in 2017.